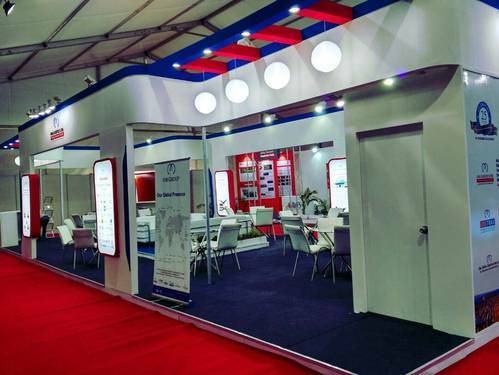 We are among the pioneers in the industry offering Exhibition Stall Designing Services. Our services are aimed at achieving maximum client satisfaction. By tailoring the stall design to their exact needs, we ensure effective promotional activities for them. We endeavor to provide the most optimum solutions keeping their budgetary constraints in mind. We deliver the offered services within the specified time frame. We have a highly competent team of designers, which is familiar with the minute details that need to be taken care of. Note : Price of services is approximate and will vary according to requirements. 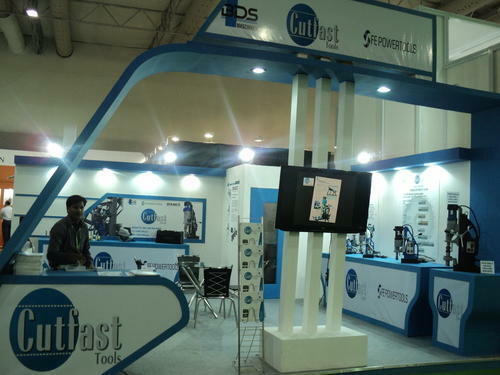 Quantum is pioneer in Exhibition Stall Designing Services and Fabrication as per client requirements of timeline, quality and cost. We offer end to end solutions for a successful exhibition experience & work in stages to ensure client's requirements are kept in mind at every stage. We conceptualize, visualize, design and execute the entire exhibition projects to suit our liets requirements. We specialize in two and three dimensional design for exhibitions, displays and interiors. We are also leading company for Exhibition Promotional Aids / Merchandise & Event Management in New Delhi having offices in different cities in India. We have a good experience of working for Colleges & Institutes, defence, electronics, equipments, education, interior and water sector companies in various exhibitions. Our footprints can be traced to some of the biggest exhibitions. Our clientele is elite and rely on us year after year for their exhibiting requirements. Looking for “Exhibition Stall Designing Services”?